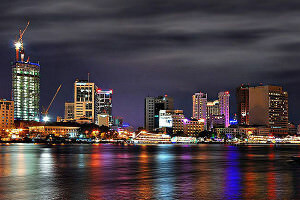 Saigon skyline at night. Photo courtesy: aocap.org. In two days I leave for Vietnam, but this is going to be one part of my journey that is departing from my norm. Instead of traversing the entire country and staying in places for a few days, I plan to live in Ho Chi Minh (Saigon) for a month. After traveling for nine months, I’m getting tired of packing up my bags and getting on buses every few days to go to a new location. The last couple of months, I’ve groaned on the inside whenever I’ve left a place because I felt I had to. Sure, it keeps me moving, but I want to get to know a city a bit better than that, and I enjoy a lazy day every now and again. That doesn’t mean I won’t explore Saigon. Far from it. I’m planning to see the museums that depict the Vietnam War from the Vietnamese perspective, find some amazing food stands and meet up with some locals on Couchsurfing who will show me around the city. 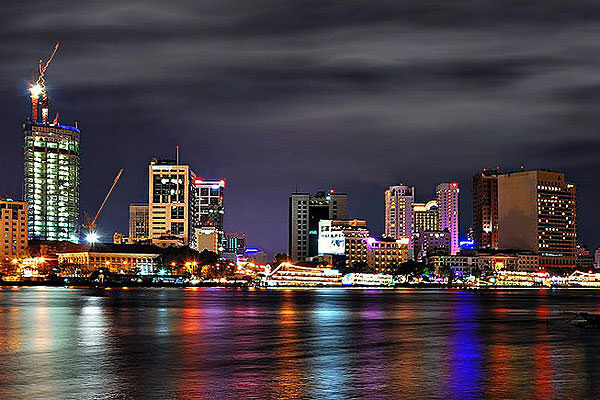 There are also amazing day trips from the city, such as the Cu Chi Tunnels or Can Gio, an island that’s at the intersection of the Saigon River and the sea. It’s not going to be a fast-paced month compared to the rest of my travels in Central America or Asia, but I’m sure it will be one full of adventure. And if you don’t believe me, all you have to do is Google traffic in Saigon. That’s a feat to conquer in itself.